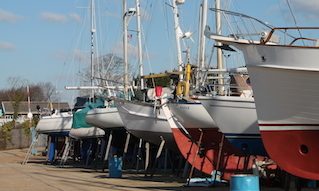 from the west – Western Solent, in the vicinity of Saltmead Buoy. from the east – St Helen’s Roads. 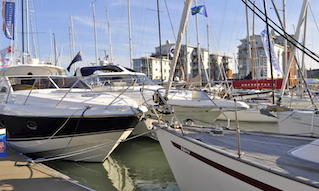 Please note: If the above anchorages are unsuitable owing to weather conditions, then vessels of 48 metres to 150 metres LOA may embark a Cowes Pilot and proceed to anchor in Cowes Roads (Triangle) to await entry into Cowes Harbour. C1 anchorage (see diagram above), 1.15 cables (0.115 nautical miles) southeast of Prince Consort Buoy. Please note: Vessels should avoid anchoring within 150 metres of the Trinity House mooring buoy (Fl.Y.5secs) owing to ground tackle extending up to 125m east and west of the buoy. C2 anchorage (see diagram above), subject to fair weather, (0.17 nautical miles) northwest of the Shrape Beacon. Sand/shingle – moderate holding ground. 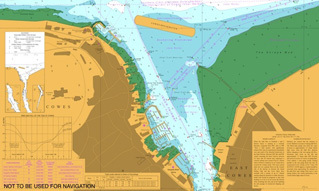 Vessels are cautioned to keep clear of the ‘No Anchorage’ area, as charted, to the north of Old Castle Point. 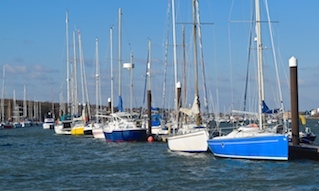 Strong tides may be experience in Cowes Roads with rates up to 3.5 knots on a spring ebb tide.